France coach Didier Deschamps once again sung the praises of Kylian Mbappe after the star's stunning start to the season. 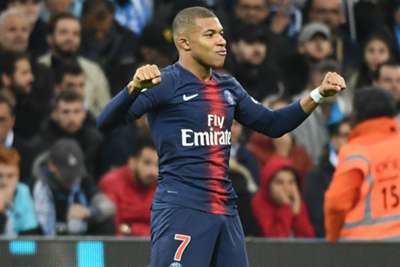 Mbappe, 19, has scored 13 goals and provided six assists in 12 games in all competitions for Paris Saint-Germain to begin the campaign. The attacker is a contender to win the Ballon d'Or and Deschamps – whose team face Netherlands and Uruguay later this month – again lauded Mbappe. "Kylian is able to do extraordinary things. Look at his stats. He is efficient. Look at the goals he scored with his club and with us. He also made assists," he told a news conference on Thursday. "He is a young player, who is doing very well at the moment. And he doesn't ask anything. He is an offensive leader for PSG. For us as well. The first player to reach goals in Europe's top five leagues? "But he doesn't try to take more space than he does now. He does already and it is natural. "Obviously, he can still improve and that is wonderful. But he is already very effective." World champions France take on Netherlands in the Nations League on November 16 before facing Uruguay in a friendly four days later.